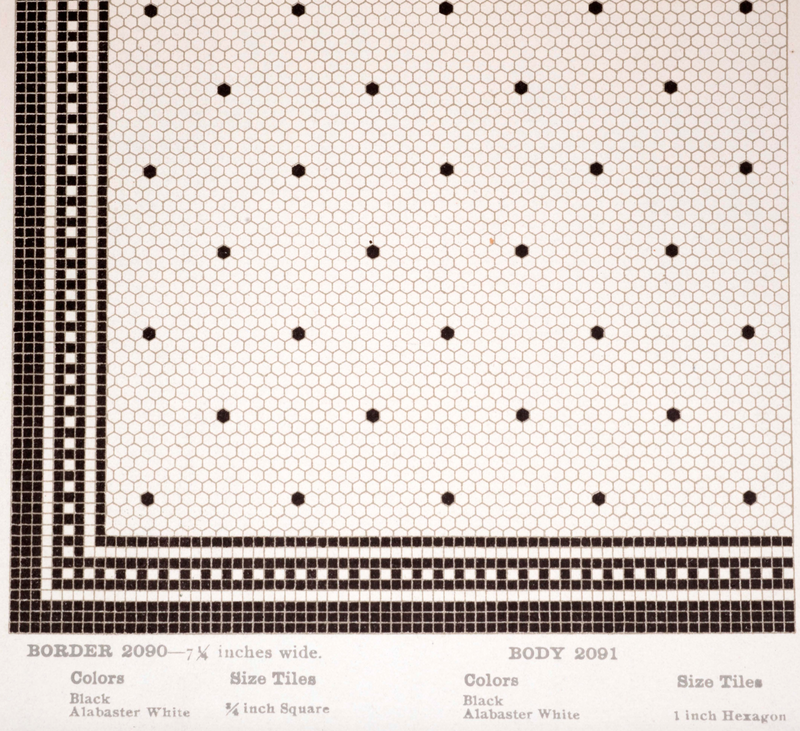 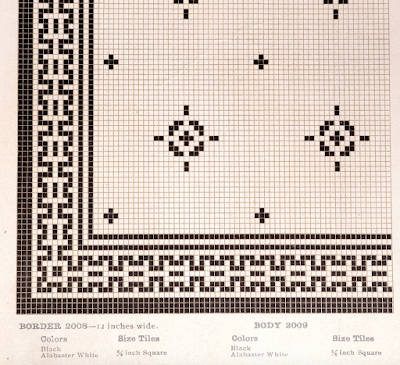 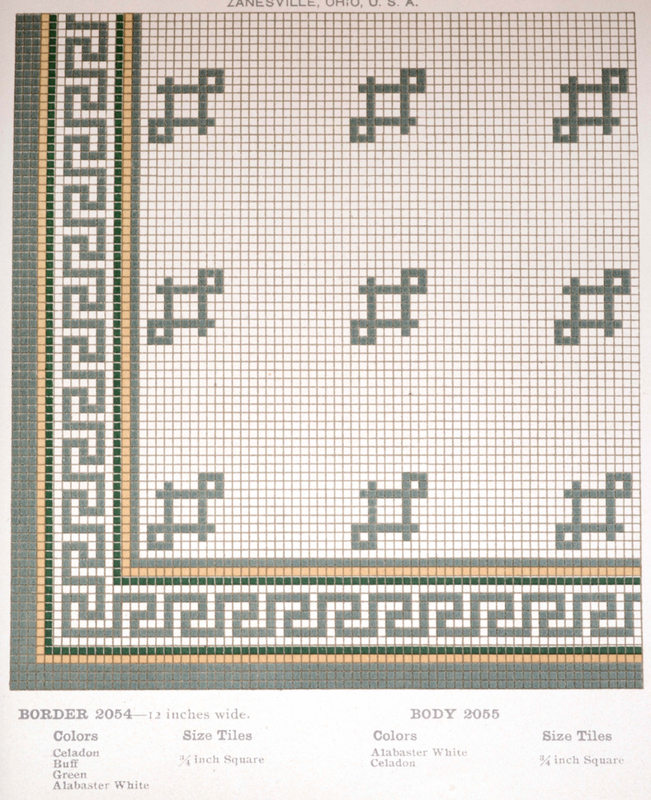 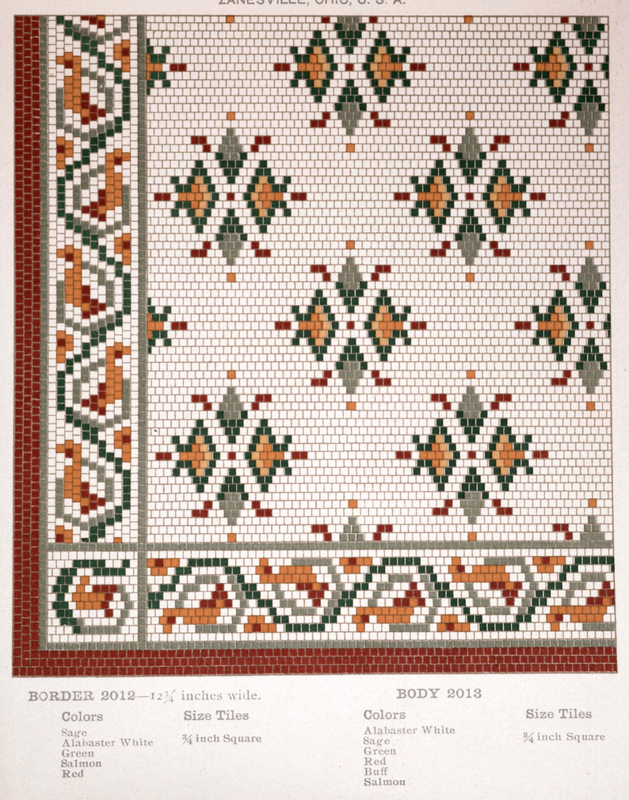 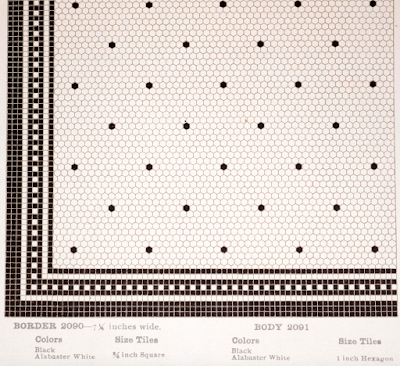 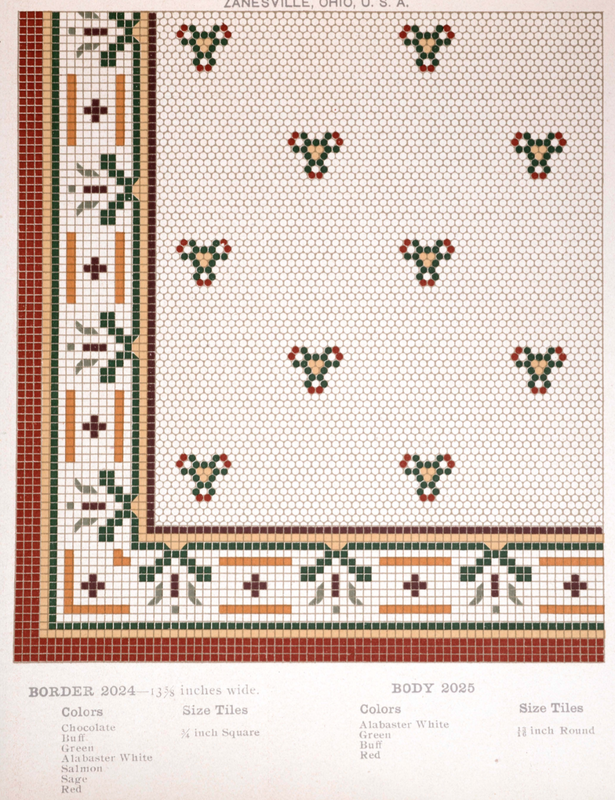 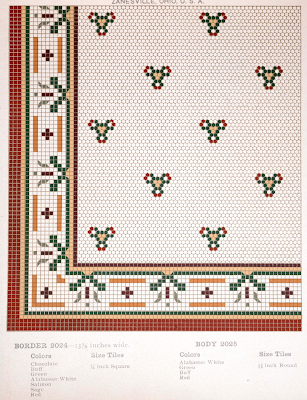 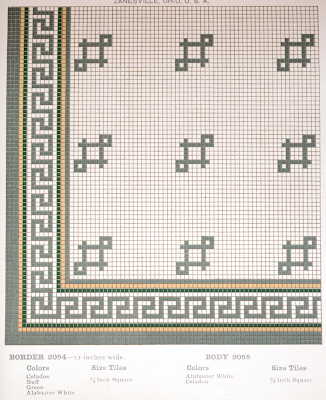 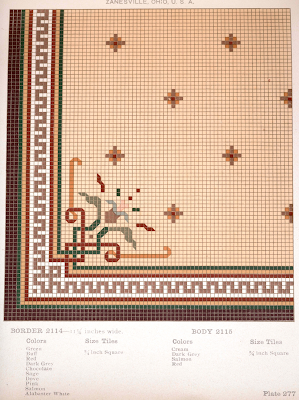 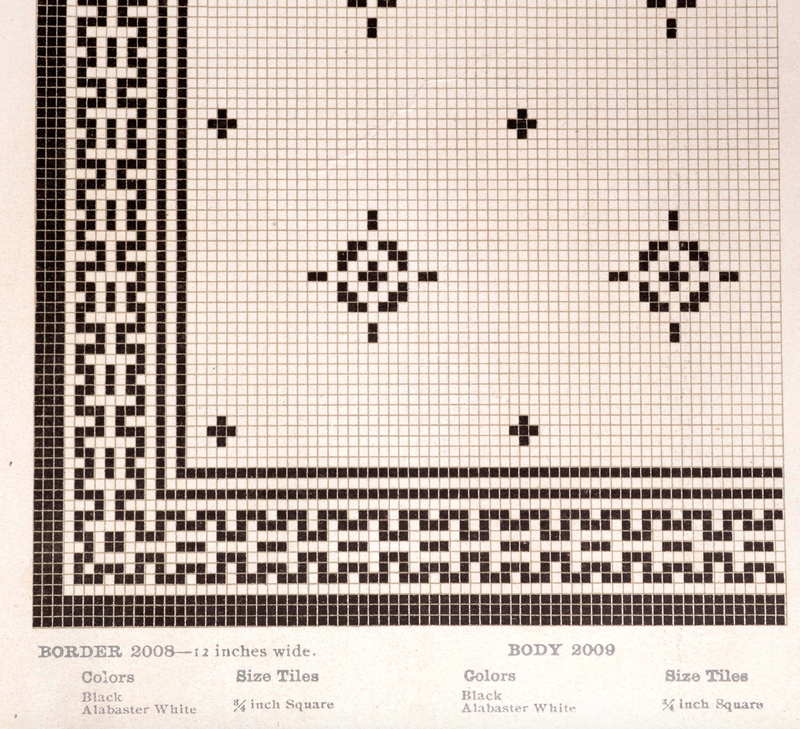 In my search yesterday to replace my floor plan I found this beautiful full-color mosaic tile catalog, circa 1900. 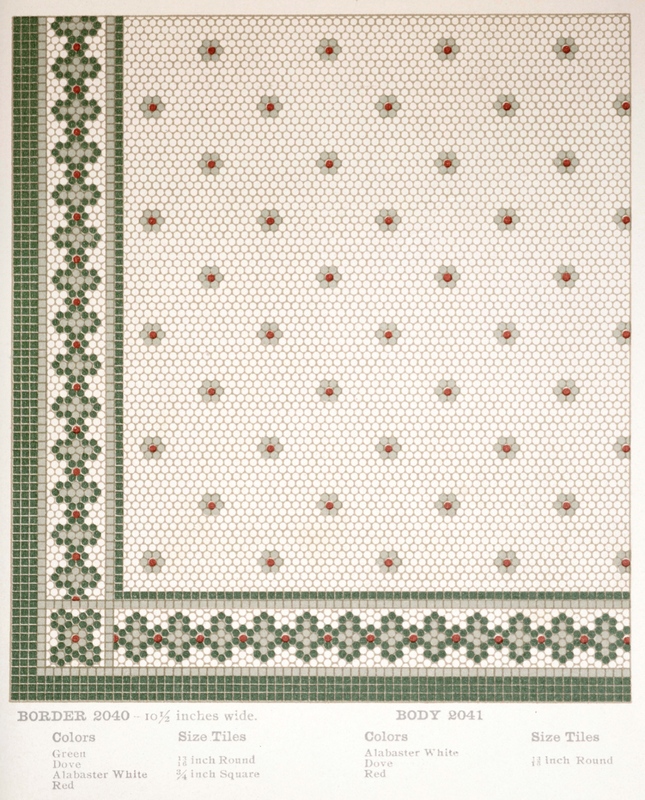 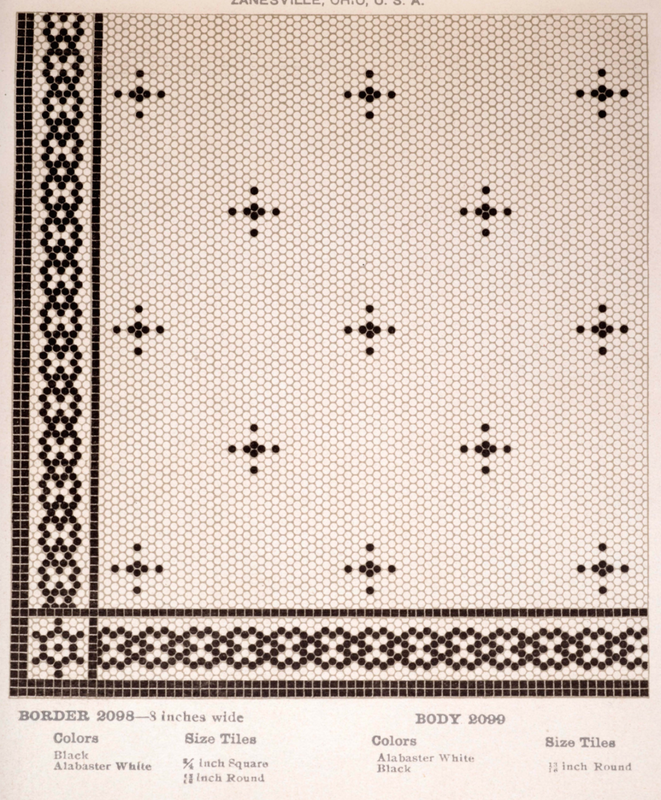 I believe you can buy a reprint of this tile catalog from the Tile Heritage Center for $75, or you can download it for free from Virginia Commonwealth University Library Digital Collection here. 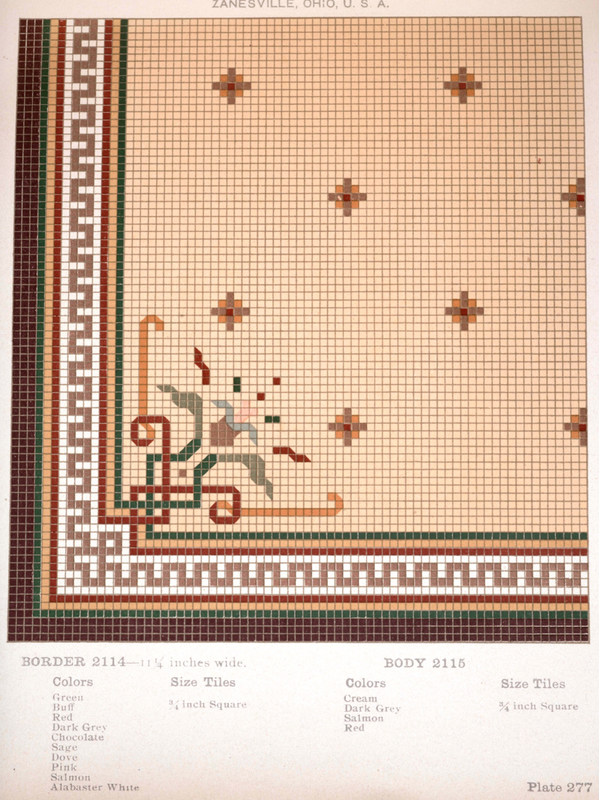 OMG, this catalog is stunning. 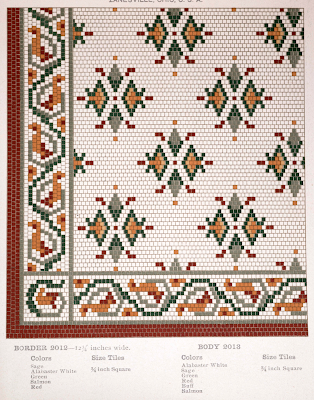 The color plates are a marvel. 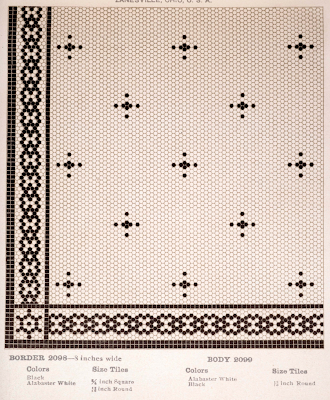 Download it yourselves, but I'm going to share a few of my favorite patterns. 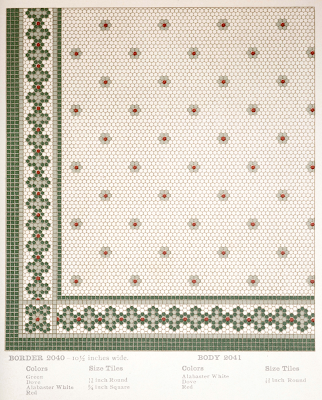 Wow, I wish I was rich. I'd fill my house with these. 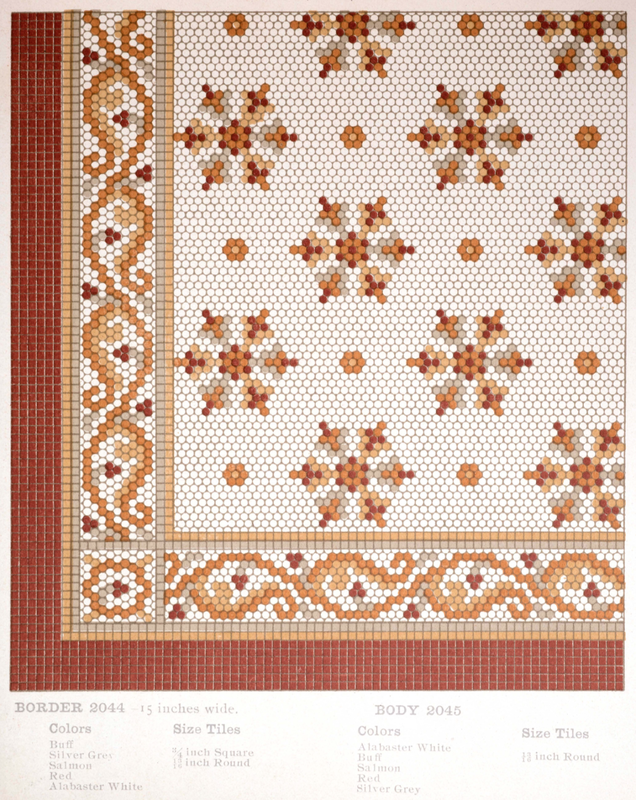 I've had a weakness for mosaics for many years.